If you’re a fan of 2-ingredient ice cream, you’re going to looooooove this. And even if you’re not, I think you’ll want to give this recipe a try. For starters, the cheesecake ice cream “base” is unreal. The most common way of making 2-ingredient ice cream involves mixing together a can of sweetened condensed milk and 2 cups of whipped cream (or, for us lazies, cool whip). To create a (spot on, by the way) cheesecake taste, I also added cream cheese, butter, lemon juice, and vanilla. I wanted to create a graham cracker crust swirl, obviously. But, it seems, graham crackers no longer reside in my pantry. Fortunately, Golden Oreos do. The coup de grâce to this whole ice cream scene is Lucky Leaf Strawberry Pie Filling. And ohmygosh, ittastessooooooooogoooood! Seriously. And it’s ridiculously compatible with ice cream. ….like, maybe even more so than with pie. But really– that strawberry pie filling is the perfect consistency to freeze. It doesn’t get all ice-y (like my homemade sauce would if it were frozen in ice cream). Instead, it’s still a perfectly decadent and gooey consistency when frozen. So you won’t be chipping away at it with the ice cream scoop, and it’s not breaking any teeth when you try to eat it. Plus– since it’s canned, it’s already at room temperature, so it’s ready to go into the ice cream when you’re ready for it to go in! Moral of the story: if you’re looking for a creamy and decadent ice cream to serve up to all of your sweeties this Valentine’s day (or any day! ), this is it ♥. Use a hand mixer to beat together the sweetened condensed milk, cool whip, cream cheese, 1/4 cup butter, lemon juice, and vanilla extract in a large bowl until smooth. Set aside. In a food processor (or using whatever crushing method you prefer), process the Golden Oreos and 1/4 cup butter together until crumbly (should clump together though). Dump the crust "clumps" into the middle of the ice cream batter, don't stir. Pour the Lucky Leaf Strawberry Pie Filling over the crust "clumps." Use a large rubber spatula to gently fold the filling and crust into the ice cream batter. You should only need to use 2-3 strokes. You want swirls, and it's easy to over mix and combine everything instead if you're not careful. Pour mixture (this will mix it up a little bit more too) into a standard loaf pan and freeze for at least 4 hours (overnight is best). Don’t over mix, don’t over mix, don’t over mix! You could substitute graham crackers for the Oreos, but I don’t have a measurement to suggest. Just eyeball it– a little too much or too little won’t ruin it at all. My friends over at Lucky Leaf, who so generously provided me with samples of their pie fillings (and super cute baking-ware) to play with, want to send you some cute and yummy stuff too (shown below)! Simply leave a comment below to enter to win! I’ll choose a winner at random on February 28, 10pm. OMG! My birthday is this upcoming Sunday and I plan to make this for my “birthday cake!” I can’t wait. It looks so yummy. Drooling!!! This looks beautiful and so delicious! And easy!!! I love the combo of cheesecake and strawberries! This is unreal…strawberries and Golden Oreo swirls in cheesecake ice cream? Yup, this is fabulous sounding! I have to try this! I don’t have an ice cream maker yet, but this is the perfect substitute! This sounds so good although I always prefer real whipping cream to cool whip. I love the idea of golden oreos! Looks so yummy! I think I might make this for my kids, they would love it! Thanks for the recipe! I have been searching for a recipe like this one for a while now, thank you so much. I am doing this as soon as I can get to the grocery store! Oh dear. I think I am in love with this ice cream. I happen to have leftover graham cracker crust in my fridge, so this would be a great use for it. Thanks for the delicious recipe idea & for introducing me to Lucky Leaf products! Oh my, this looks absolutely delightful, Ashton! I’ve been seeing recipes for this two-ingredient ice cream for awhile now, but I haven’t tried it yet. 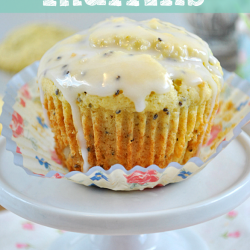 After drooling over this recipe, I definitely need to do it soon! OMG this looks delicious! Yep, there goes my diet! This sounds awesome. the family will it. That recipe sounds SO GOOD! Thanks for the chance to win! Pillsbury posted your lemon meringue dip recipe and I just had to see for myself! Oh my what deliciousness! my husband’s birthday is Friday and I was searching for something good to make and I don’t know how I will ever narrow it down…thanks so much for all the goody ideas! 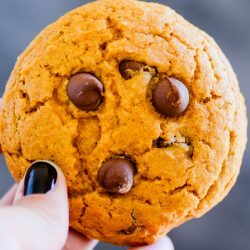 Could also use Nutter Butter cookies for another decadent taste! I cannot believe how pretty this looks! I just bought an ice cream machine and this is the first thing I am making! Thanks for this recipe! This sounds amazing! Looking forward to making one day soon :) Thanks Ashton! This looks very good and simple. I love that I don’t need an ice cream maker to make it. My whole family loves ice cream and it sounds pretty versatile. I’m definitely going to try it!! Thanks for the recipe. LOVE this idea and recipe! Can’t wait to make it, but have never seen Strawberry pie filling in my store! I definitely will try this!!! It looks sooooo good! I would love this prize! And just whipped up the ice cream…with Graham,s. Its in the freezer now! OMG! This looks amazing, I can’t believe how simple it is. I’m making this for my husband as a Valentines Day Surprise! Can’t wait to post back and tell you our reactions. My mouth is watering already, let’s hope I can wait. Looks great. Can this be made in an ice cream maker? I am digging this ice cream! What a fantastic idea. ALso Strawberry cheesecakr… My all time favorite!!! Thanks for sharing and the giveaway! OMG OMG OMG this ice cream is fantastic. oh my gosh, this looks so absolutely delicious. have you ever made ice cream with an ice cream maker? i’m wondering how i can make this recipe with an ice cream maker, but the swirls probably won’t let it work right? oh well, looks easy enough. ps. i want to win. so cute. so yummy! My mom’s delicious cheesecake recipe calls for smashed vanilla creme cookies for the crust instead of graham crackers. It’s still my favorite cheesecake!! So this looks totally delicious to me. Thanks for the recipe! Hi, found this via Pinterest and am in Australia where we don’t have cool whip! Would the measurement for cool whip be the same if using whipped cream? I’m loving this! I’m willing to try it, and I hope it doesn’t taste like creamy ice. I am so excited to make this for my daughter’s first birthday!!! It’s going to go perfect with her strawberry owl cupcakes, thank you so incredibly much for this recipe!! This looks so good and you made it sound so easy to make. It’s the best of both worlds! Can’t wait to try it. I am so excited to try this out for my bf on valentines… he LOVES cheesecake and this will be perfect and less time comsuming than actually making a cheesecake! Thanks for sharing! sounds amazing! I will be making this weekend!! I’d love a big bowl of this ice cream right now! ohsweetjesus – something else for me to LOVE!!! I’m in heaven – can’t wait to make this! Thanks…..
Oh my ! So making this for Valentine’s day ! This looks so good. I’m going to try it this coming weekend! WHY oh WHY have I not made my own ice cream yet? Ashton, I’m pinning this amazing recipe because I sit here literally drooling on my keyboard in strawberry cheesecake envy. I’m literally eating a strawyberry cremesicle lifesaver candy right now and let me tell ya… it does NOT compare. i.need.ice cream!!!!!! This ice cream looks delicious! I’ve never made my own ice cream before and this looks easy peasy! I will definitely be making this soon! Thanks for the great recipe! I love cheesecake and I love strawberries. Can’t wait to try this. I’m having trouble finding the strawberry pie filling but I won’t give up. Thanks for posting. How beautiful is this ice cream?!?!?! I could eat the picture! I need to make this soon! seriously looks so good! can’t wait to try it! Sounds amazingly wonderful. Have to make this very soon. What an absolutely delicious sounding dessert! Going to the grocery store in the morning. I hope I can find Lucky Leaf strawberry pie filling, I will be disappointed if I can’t! Your post makes it sound amazing!!! WoW! Your cheesecake looks yummy! And how AWESOME would it be to win these products. This looks great!! I always use Lucky Leaf pie filling, but can’t seem to find strawberry in the stores. Will keep my eye out though because this looks like something my husband and kids would love!! I love easy condensed milk ice cream recipes! This one looks great! Will definitely try it out soon. This is fabulous….lucky leaf pie filling….I never would have thought!!!! I was looking for a treat to take to work on Valentine’s Day, and I believe this is the winner! Going to make this afternoon soon as i return from the grocery store to get the needed items. 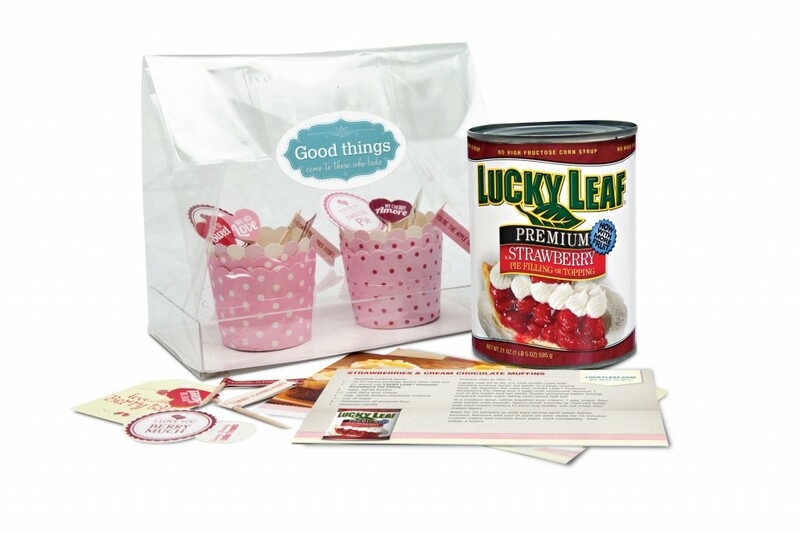 I have Lucky Leaf raspberry pie filling in my pantry and will try that. YUM! Ok! As I wipe the ice cream off my lips and sticky fingers(Hint) I will have to say this is my most favorite ice cream. I usually have to go to Mayfield to get a double scoop cone but no longer.Almost like heaven in a freezer. Thank you for the recipe. I can’t wait to try this! I am always looking for ice cream recipes that do NOT require an ice cream maker. If this is as good as it sounds, I will make it for my daughter’s graduation party this June (Going to make it for Valentine’s day first). Oh wow! Super easy! Super yumm! Yummy, will be giving this a try very soon. I’m not a huge strawberry fan, but this looks (and sounds) AMAZING!! This will be on my to do list this week. Oh ma goodness!! I cannot even tell you how much I love this. Booyah! Wow, my kids will love to adorn our kitchen aprons and mix this up to surprise Daddy for Valentines day! Home-made treats from the kids make the best gifts. Thanks for the idea! This looks really good! I plan on trying it for Valentine’s Day! Wow! Thank you so much! Making this for church carryin lunch. 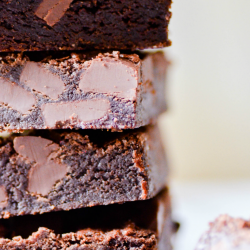 I cannot wait to make this…and then eat this! Finally found a reason to be happy for the February heat in Houston, and will definitely be making this for my quilting bee girls! ~Oh My!! I can’t wait to wrap my lips on this! Drooling! !This looks Delisssssh!! My Birthdays on the 17th & I’m making me this!!Thanks!! I will definitely have to try this. Looks so yummy. Thanks for sharing! How I wish they sold those things in the Netherlands so that I could try to make it too! I might just have to start looking for replacements/substitutes! This looks awesome. Trying this SOON! I am making this for my son’s birthday. This looks amazing! This looks fabulous! I look forward to trying it with gluten-free graham crackers and having a DELICIOUS dessert when I’m craving cheesecake! Thanks for the inspiration! Ooooo! I can’t wait to try this! My first batch of 2 ingredient ice cream is in the freezer now. Can’t wait to try it! Yum! I do believe this will he dessert for my special sweeties for Valentines dinner!! Thank you for sharing! This looks amazing! I can’t wait to make it!!! I’m so going to make fory family. Looks easy and delicious. What a great recipe, can’t wait to make this for my grand babies, they will love it! This looks amazing! Gotta go get some golden Oreos and pie filling ASAP! That looks so good! I use lucky leaf pie filling all the time! This looks so good! I’m going to make it for my honey for Valentines Day! I have a quick question. Could I put it in a 9X13 pan and freeze that? How many would it serve? This recipe serves 6-8, depending on how much each person eats :) I wouldn’t recommend a 9×13 pan unless you’re at least doubling the recipe, I’m afraid it might get too hard. But I’ve frozen this kind of ice cream in tupperware before, and that worked fine, as long as it wasn’t too shallow! Are you selling this reicpe as a download? Thank you! Ugh.. I am NOT selling this as a download. Ice-cream recipes that don’t call for an ice-cream maker are a winner in my books, and strawberry cheesecake is a family favorite around here. Double win! Just made this ice cream. Probably the easiest thing I’ve made in a long time! It was even good before it was frozen! How delicious that looks – I can’t wait to try it!!!! Valentines day surprise for my boyfriend! Looks so yummy!! Oh my goodness….my daughter and are huge fans of strawberry cheesecake ice cream. We have tried every brand available at our local grocery store. Our favorite brand discontinued theirs and I have been on the hunt for two years for a new favorite! Thank you so much for this awesome post. We are absolutely loving it! Making another batch tonight!! This is by far our new favorite! Thanks again!! I am so excited to have found this web site. Totally making this for my daugher and grandson’s birthday which is on the same day next month. How Yummy is this?? Wow! I think I’m going to have to add the ingredients for this to my shopping list! OMG this looks so tasty! And perfect since I don’t have an ice cream maker!! Thank you for posting this!! This looks incredible! Picking up the ingredients tomorrow. I am having a pink party for my birthday and this is for sure the ice cream I will be serving!! I can’t wait! Looks great! This recipe looks absolutely amazing! I recently made some banana & peanut butter ice cream, so I’m all for trying this out! Love that you used the golden oreo’s! Oh goodness – that looks FABULOUS. I could easily convert that to gluten free. Can’t wait! 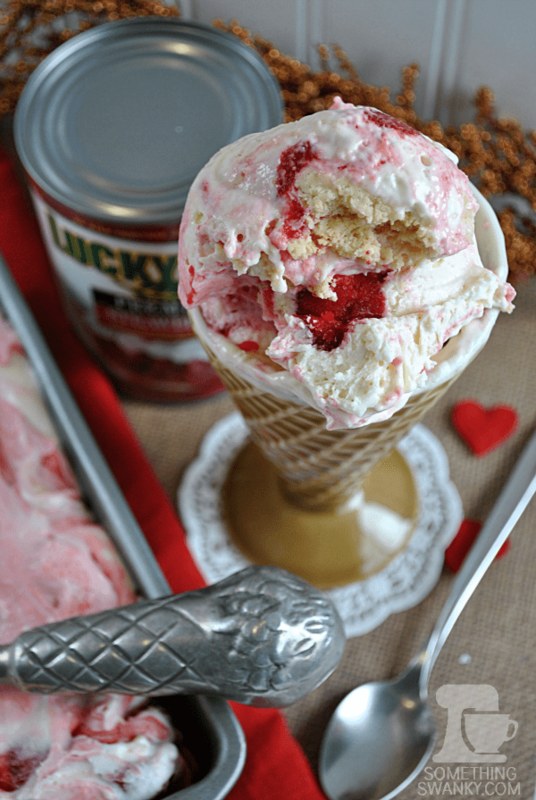 I lvoe Lucky Leaf Pie filling I use them all the time but haven’t tried the Strawberry, the ice cream looks yummy will be shopping for the strawberry lucky leaf today and making this icecream today! Thanks for sharing. Looks delicious. definitely a new recipe I am going to try. LOVE Cheesecake ice cream! This sounds great I’m going to make for my husbands birthday. Thank you so much for sharing. My favorite ice cream of all time. Reminds me of my childhood in Door County, Wisconsin. Makes me smile! This will definitely be my next ‘take to work’ dessert!! I don’t know if I can wait til then, though! I would like to make this ice cream, but I am not a fan of Cool whip- has anyone done it with whipped cream- just wondering if it will work the same??? Looks dreamy ….will be trying. It’s my birthday on Saturday and I will make this for dessert for me and 20 of my guests! Sounds spectacular. OMG! I’m definitely going to try this soon. Do you have any other easy ice cream recipes you can send my way? I think Mother’s Day will be the perfect reason to make this (for myself, of course), but I’d love to have something everyone else in my house that doesn’t like strawberries might also enjoy. I’m not a fan of strawberry but I imagine this would be AH-MAZ-ING with any Lucky Leaf pie filling. Holy deliciousness! Made this today using 2 cups of fresh, unsweetened whipped cream (just not coolwhip fan), no lemon juice (I was out) & crushed Pepperidge Farms Shortbread cookies. It was amazing!!! Thanks for an easy recipe w/o all the junk in store bought ice cream! This is amazing. I used strawberry cream pie filling because the store I frequent was out of the plain strawberry. Tastes absolutely wonderful. No more driving to DQ to get the strawberry cheese quake blizzard………love, love, love this! There’s a good chance. I don’t know because I haven’t done it, but I don’t really see why not? I can not wait to try this. Thank you so much for sharing. I made this over night for the 4th of July, had to try it first this morning, it is devine!!! 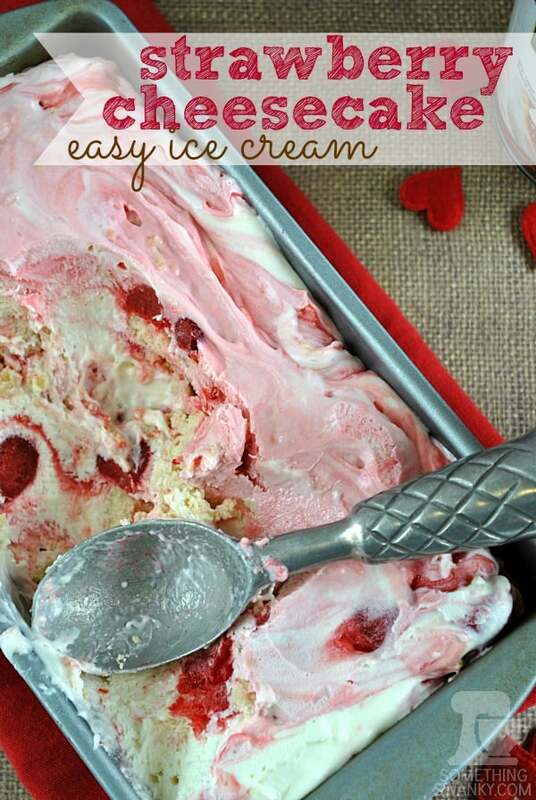 I’ve been looking for an easy strawberry cheesecake ice cream recipe for a while, thanks so much for this one! Was thinking you could also use 1/2 strawberry pie filling & 1/2 blueberry pie filling for red, white & blue. And I bet this would also make an awesome ice cream cake or ice cream sandwiches! Having no ice cream maker, this caught my eye… along with the words “strawberry” and “cheesecake”. =D Made about 2 weeks ago and just finished it up a couple nights ago. DELICIOUS and easy!! I plan to try it with cherry sometime in the future. Thank you! Anyone that hasn’t tried this yet…do it!! OMG, BEST ice cream ever!! Only thing I did differently was to use choc oreos. Gonna try it with choc covered graham crackers next time. Seriously, I don’t think I will ever buy ice cream again! FYI… The person in the link below is using your pics/recipes as their own with no credit or link back to you. I just made this last night. OH MY GOSH! This is the best thing I have ever eaten. I didn’t let it sit that long before we ate it. It was soft and creamy. We just had more. It was frozen. I like it better soft. Could eat it all by myself. Next time I’m going to make blueberry. One question though. How can I make apple pie or pumpkin? Would eat this over real ice cream any day. I just found your site, and I love it. The best I have been to so far. Love it. OMG!!! This has to be the MOST DECADENT ice cream I have ever heard of. Will be trying this just as soon as I can get to the store!!! Thanks for sharing. Always looking for fast, simple, good recipe to take to meeting, friends, and this Delish! For sure a save!